Yamazaki Distiller's Reserve is a whisky with delicate flavours, round and deep. 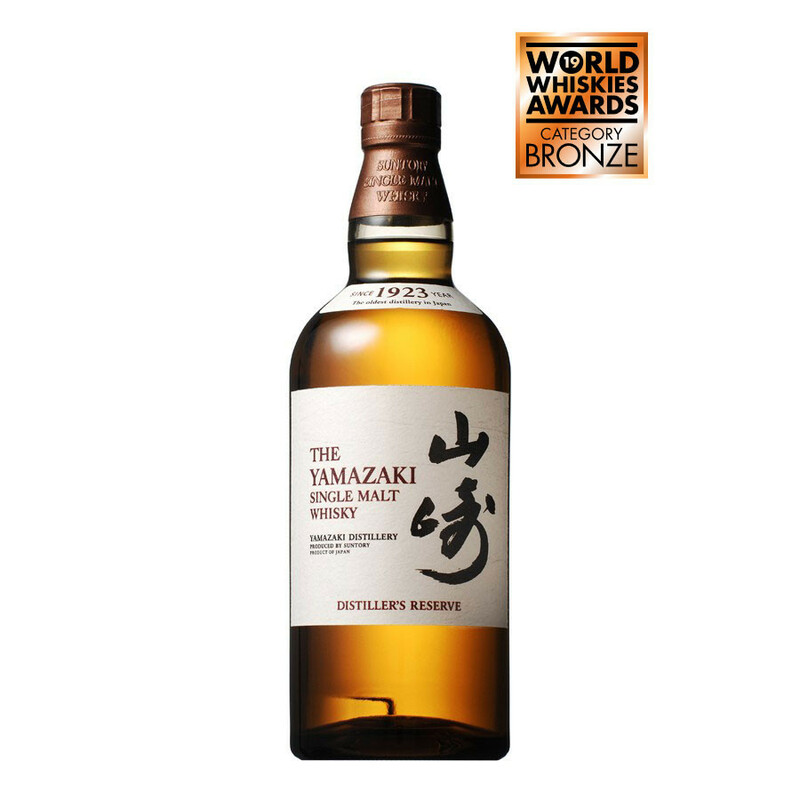 This whisky was awarded with a bronze Medal for the Best Japanese Whisky No age Statement category at the World Whiskies Awards 2019. Yamazaki Distiller's Reserve whisky is a Japanese Single Malt from Suntory, it is an non age version with whisky specially selected for its quality. Rich and exuberant, it is an assembly of whiskies aged in mizunara oak and barrels containing sherry or Bordeaux wine. This whisky offers delicate flavours such as strawberry, coconut or sweet spices (vanilla and cinnamon). Nose: Subtle and fine with hints of strawberry, cherry, and mizunara (Japanese oak). Palate: Creamy and fruity with aromas of raspberry, white peach with a touch of coconut. Finish: Long and precise on sweet vanilla with a hint of cinnamon. Bronze Medal, Best Japanese Whisky No age Statement category, World Whiskies Awards 2019. Silver Medal at the International Wine & Spirit Competition in 2014.